If you’re looking for an affordable tablet that attract your children, you might want to consider the colorful SKK Mobile Bubble Gum 2. 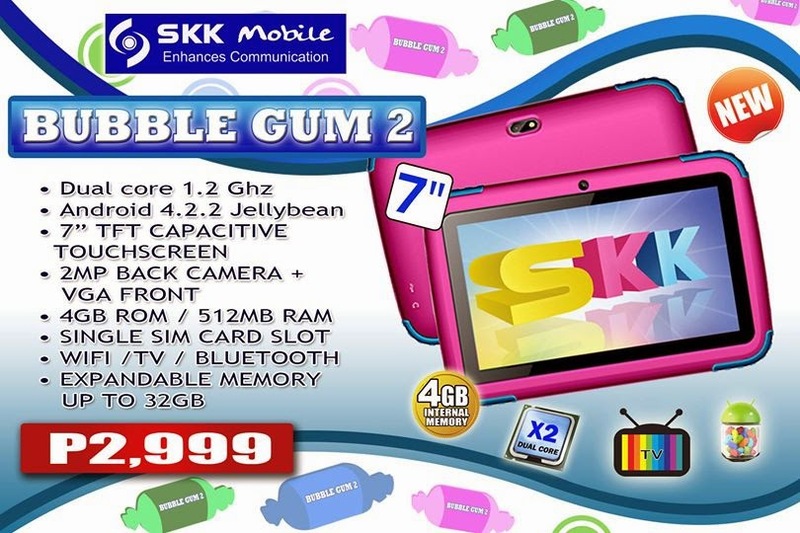 SKK Mobile Bubble Gum 2 is 7-inches WVGA tablet with a colorful plastic shell. There's a 1.2GHz dual core processor, 512MB RAM and 4GB internal storage that can expand up to 32GB via microSD slot. It has also a SIM slot for calling and texting, WiFi, Bluetooth, and even a built-in TV tuner.